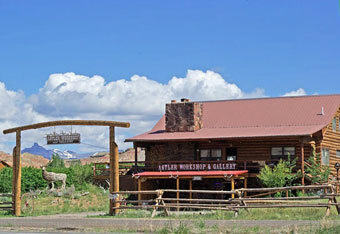 Antler Workshop & Gallery along the Old Yellowstone Highway in Dubois, Wyoming. Kurt Gordon was born in the Rocky Mountains and raised in a log cabin that his Grandfather built in what is now known as Vail. 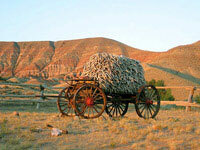 As a child growing up, the wilderness was his playground and collecting shed antler was his pastime. He learned the importance of living with nature and developed a respect and admiration for the yearly cycle of shedding and regrowing of antler. 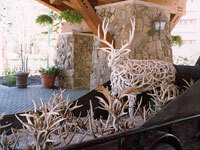 He saw each antler as a piece of nature - the essence of wildness and wilderness. 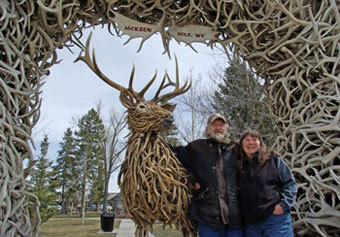 Kurt now lives and works in a log home in Dubois, Wyoming. 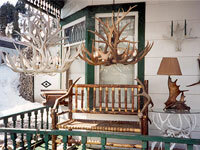 There at Antler Workshop and Gallery his lifelong passion for shed antler is reflected in his unique antler designs. His method of craftsmanship insures each design is signature quality. Kurt has over 40 years of experience designing with antler and his work graces such places as the Vail Marriott, a castle in the Dominican Republic and an antler statue in Ripley's Believe It or Not in Jackson Hole.